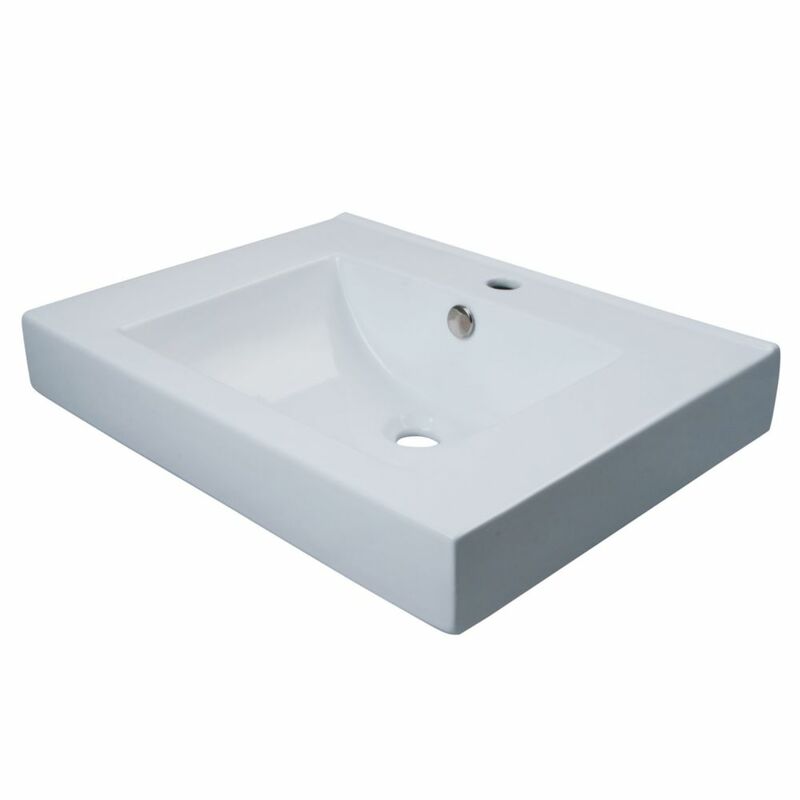 Countertop Bathroom Sink in White Fine artistic craftsmanship for long-lasting, perfect for new bathroom decor. It is sophisticated design will add new look and value to your bathroom decor. The square-shaped bathroom sink is crafted from vitreous china that is baked at high temperatures so the surface is stain-resistant, germ-resistant and easy to clean. Countertop Bathroom Sink in White is rated 3.0 out of 5 by 5. Rated 5 out of 5 by MidModMomma from It is beautiful but don't expect to wall mount it. It is very heavy. We used chrome legs under ... It is beautiful but don't expect to wall mount it. It is very heavy. We used chrome legs under it which looks great. Rated 2 out of 5 by Steve from It is advertised as being a wall mounted sink as... It is advertised as being a wall mounted sink as an option, however it is way to heavy and the toggle mounting system snaps right off. Rated 3 out of 5 by Mike from Wall Mount Sink The sink in is great, it's the wall mounts they come with. Make sure your reinforce them before mounting on the wall. Rated 1 out of 5 by purple from Not a wall mount This is not a good wall mount sink. It's beautiful, but will sag because of it's weight causing it to not fully drain. Needs a stand. I will have to return and look for something else.